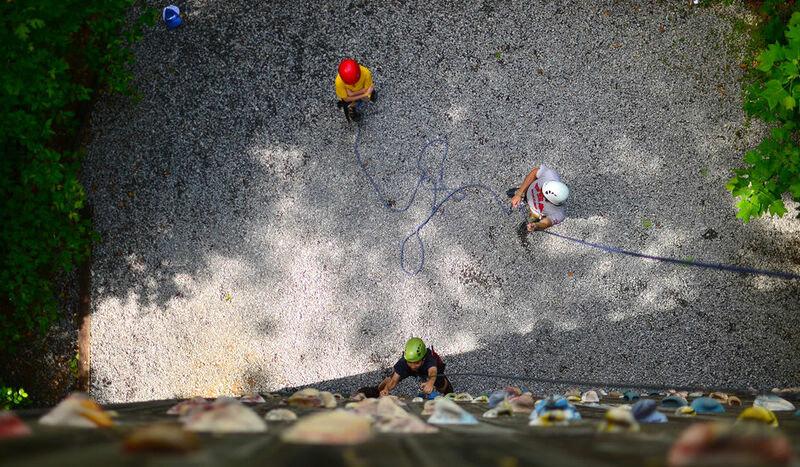 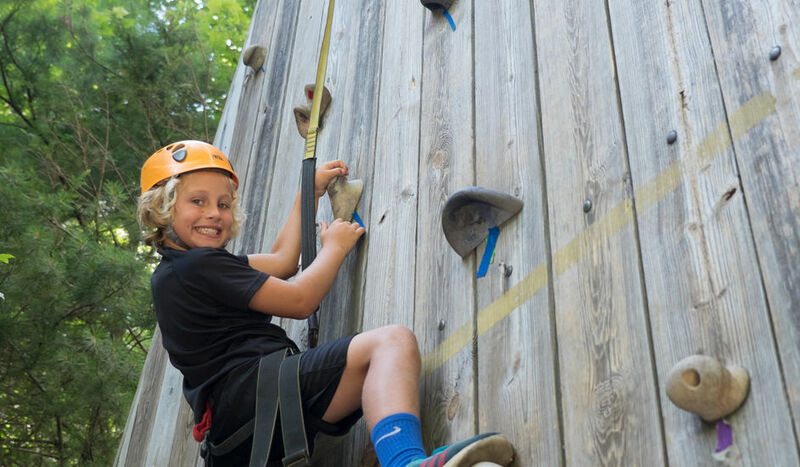 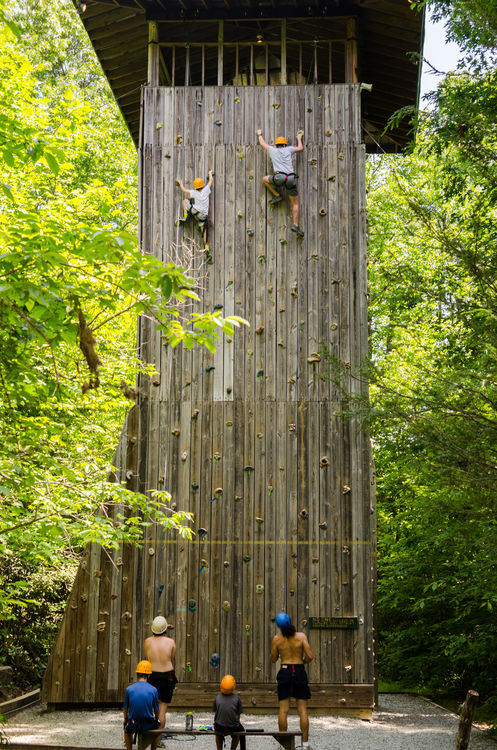 Falling Creek’s climbing wall is 44 feet tall and has six sides, providing the opportunity to introduce first time climbers to the sport as well as challenge more advanced climbers. 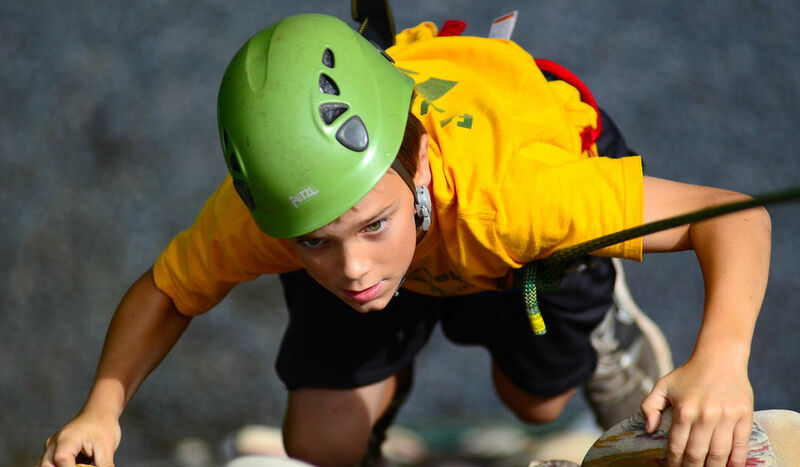 The instructors work with the boys to master the basic climbing commands, equipment, knots, and belaying techniques. 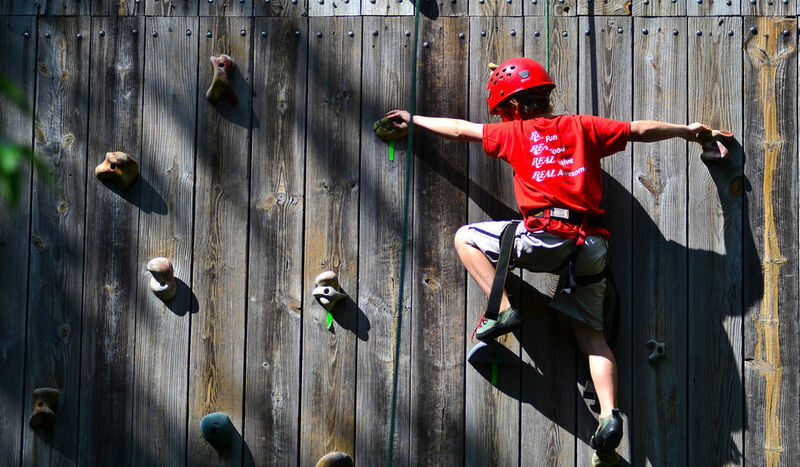 The wall structure also has a covered bouldering cave allowing campers to work on more advanced skills.